Looking for yoga teacher training in Glasgow? Balance is at the forefront of yoga teacher training in Glasgow, having trained many successful teachers now practising in Scotland and beyond. 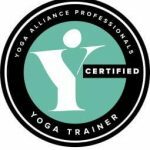 This is a modern Yoga Teacher Training Diploma, accredited by Yoga Alliance Professionals, emphasising the practical skills required for teaching yoga in today’s fast-paced world. The course takes place in the balance yoga studio, in Glasgow’s west end. Course director and principal yoga teacher Gerry Kielty, BSc, MSc, has developed a thorough syllabus that sets the highest standards. Gerry teaches alongside guest specialists in anatomy, physiology and philosophy. “As a balance graduate yoga teacher, I have no hesitation in highly recommending the balance yoga teacher training course. Gerry Kielty the course director and principal yoga teacher, together with the specialist teaching staff in the connected and complimentary disciplines, succeed in setting the highest teaching standards, in what is a best in class, if indeed, not world class, yoga teacher training environment, within a high quality teaching and practice facility at balance. You will discover an open, friendly and tremendously supportive learning and development environment, creating the right balance of in-depth study, practice and theory, which will at the same time challenge and equip you, to develop and refine your own individual yoga teaching and personal practice, furthering your knowledge and understanding of yoga, as not only a physical discipline, but as science, art and philosophy. The aim of this course is to produce competent, professional yoga teachers. In addition, 100 hours of class attendance approved by Teacher Training tutors. The Course runs from 29 September 2019 – 29 November 2020 as per the dates below. The course fee is £2400 and you can view our policy documentation here. Apply now for the 2019 intake. We invite anyone interested in the balance teacher training diploma to submit an application for the next intake at any time.